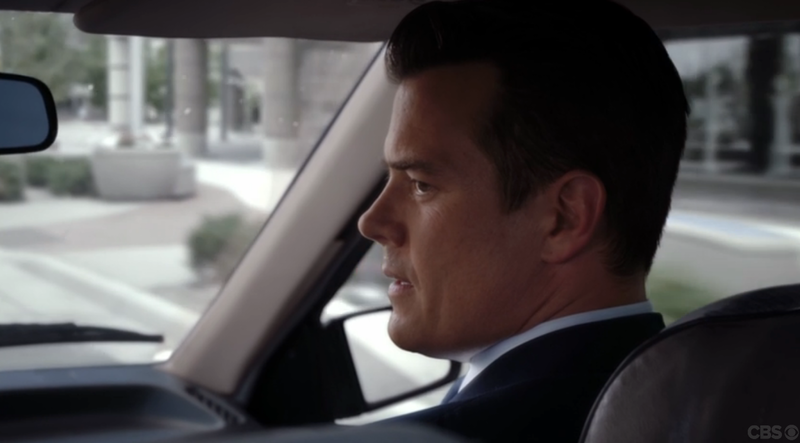 At about the 19-minute mark, Milt and Russ are driving in the car to go interview a suspect. 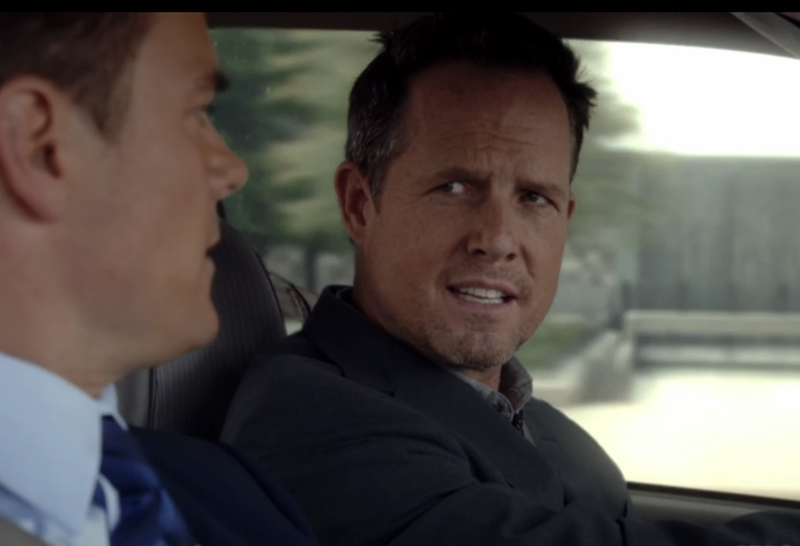 As they are going down the road I noticed that the landscape looked very familiar. The landscape is from Michigan Avenue in downtown Battle Creek! You can see the recognizable flowerpots on the sidewalk and the recognizable lampposts. You can also see the blue and green street signs that are displayed down the road. If you pay close attention you can also see the waterfall monument next to Mill Race Park. 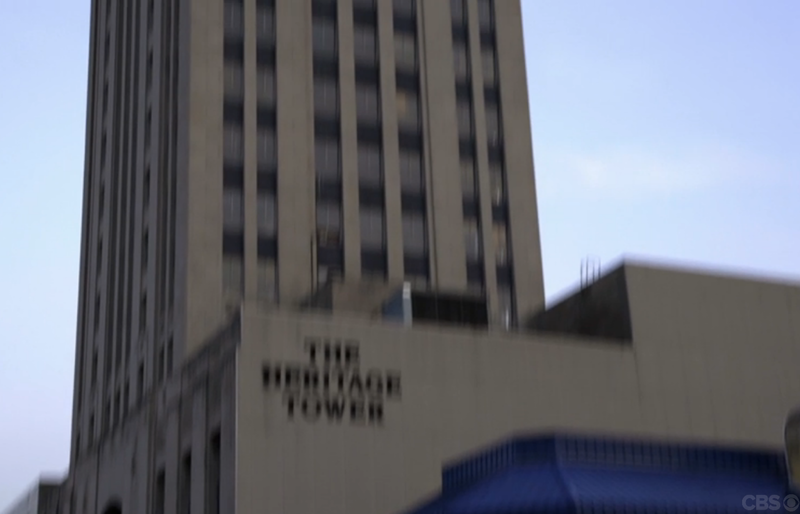 Right after the shots of downtown, they show a shot of Heritage Tower. Heritage Tower is one of the two tall buildings in downtown Battle Creek. The tower will be undergoing a multi-million dollar renovation very soon. 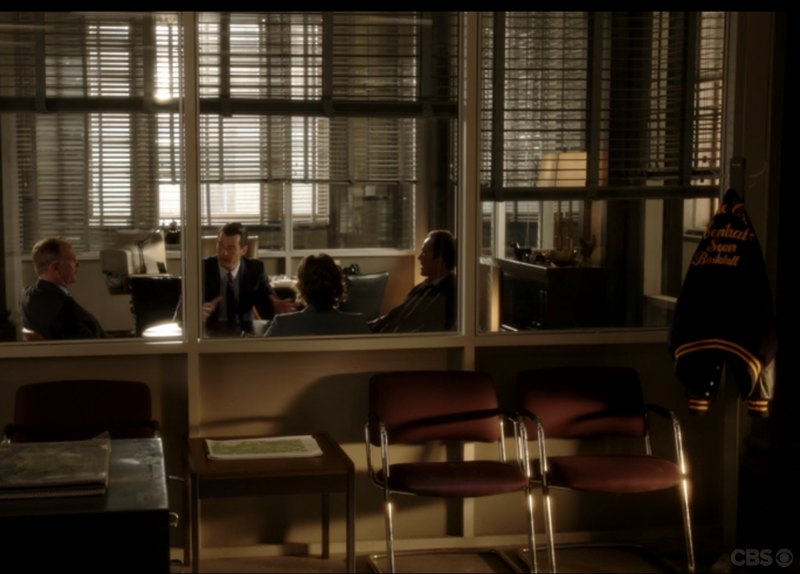 There is a shot where Milt, Commander Guziewicz, Russ and the chief are talking in an office. On the coat rack outside there is a Battle Creek Central Varsity Jacket. Battle Creek Central is the public school in downtown Battle Creek. If you come to the real Battle Creek, the high school is hard to miss. They have a large high school with C.O. Post Stadium right across the street from the building. Genealogy Resources at the Library of Michigan. Library of Michigan librarian, Matt Pacer, will show attendees the vast resources available for researchers at the library and from your home. Battle Creek Visitors shared a post. Cereal History Exhibit and Visitors Center at the Battle Creek Visitors Bureau. Plenty of parking right in front of the center within the Riverwalk Parking Lot/Garage (a little crazy on Wednesday’s). Need that unique piece for your home? Head out to Cornwell's Turkeyville, this Saturday, for the Flea Market and Antique Show! Over 100 vendors will be outside for this weekend event with lots of new and used items of every kind. Less than a month from now, you will be able to pick up your fresh produce at the Battle Creek Farmer's Market in Festival Market Square once again. * New this year! The market will be on Wednesday and Friday starting May 1. Bring the whole herd to Binder Park Zoo for opening day. Binder Park Zoo opens for its 2019 season only one week from tomorrow! Get over the winter blues by seeing your favorite animals. More Add to personal calendarPrintStarts in 7 Days, 3 HoursApril 17, 2019 Binder Park Zoo7400 DIVISION DRIVE, BATTLE CREEK, MI 49014 binderparkzoo.org/events/...Lions, Bears and Giraffes oh my! Binder Park Zoo officially opens for the season again on April 17.